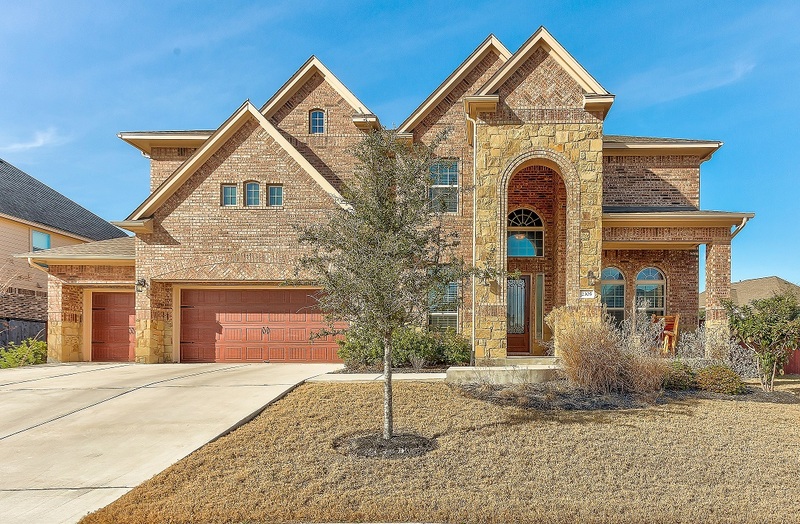 Another Great Home Sold by Premiere Team Real Estate - Gorgeous 5 Bed/3.5 Bath on big corner lot, in the gated community of Fairways at Crystal Falls. Loaded w/upgrades, features include a spacious open plan w/center island kitchen that overlooks the family room, formal living & dining areas, office/study, huge loft/game room and home theater. Large master suite w/lovely sitting area, garden tub/separate shower, and walk in closet. The covered patio comes w/built in BBQ grill, ceiling fan, and outdoor fireplace, perfect for year-round entertaining in the large private backyard. Another great home for sale in Crystal Falls, Leander, Texas.